The principle objective of this report is to analysis Banking Theory and Practice on Prime Bank Limited. General objectives of this reports are to build up strong pillar of capital, to promote trade commerce and industry, to discover strategies for achieving systematic growth, to improve and broaden the rang of product and service, to development human resource by increasing employment opportunities, to enhance asset of shareholders, to keep business mortality, to develop welfare oriented banking service and to offer highest possible benefit to customers. 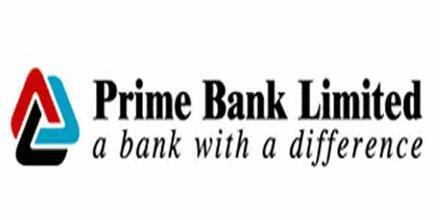 Prime Bank Limited is a private commercial bank in Bangladesh. It was established on April 17, 1995. It is now one of the banks in Bangladesh which follows international standard in Banking and Finance. The Prime Bank Limited being a Banking Company has been registered under the Companies Act 1994 with its Registered Office at 119-120 Motijheel C/A, Dhaka-1000.The Bank operates as a Scheduled Bank under a Banking license issued by Bangladesh Bank, the Central Bank of the country. To discover strategies for achieving systematic growth. To improve and broaden the rang of product and service. To development human resource by increasing employment opportunities . To develop welfare oriented banking service. To offer highest possible benefit to customers. Cash withdrawal from his/her account at any branch of the Bank irrespective of location. Cash deposit in other’s account at any branch of the Bank irrespective of location. Transfer of money from his/her account with any branch of the Bank. Cash withdrawal from your account at any branch of the Bank. Deposit in your account at any Branch of the Bank. Transfer of money from your account to any other account with any Branch of the Bank. Maximum ceiling of cash withdrawal by self is Tk. 10,00,000/- (ten lac) only per transaction. Cash deposit/transfer by online transaction is unlimited. Online Transaction Membership Fee Membership fee of Tk. 50/- per month for the Online Branch Banking Service. Charges for Online Transaction 01. There will be no charge for transaction within the city where the account is domiciled. 02. Fee Tk. 50/- will be realized from the customer’s account for each remote transaction (inter-city) for amount up to Tk. 1,00,000 (one lac). 03. Fee at the rate of 0.075% will be realized from the customer’s account for each remote transaction of amount more than Tk. 1,00,000 (one lac). Bank is the largest mobilizer of surplus domestic savings. For poverty alleviation, we need self employment, for self-employment we need investment and for investment we need savings. In the other words, savings help capital formations and the capital formations help investments in the country. The investment in its turn helps industrialization leading towards creation of wealth of the country. And the wealth finally takes the country on road to progress and prosperity. As such, savings is considered the very basis of prosperity of the country. The more the growth of savings, the more will be the prosperity of the nation. The savings rate in Bangladesh is one of the lowest in the world. In order to improve the savings rate, Financial Institutions responsible for mobilization of savings should offer attractive Savings Schemes so that the marginal propensity to save increases. The savings do not, of course, depend only on the quantum of income but largely depend on the habit of savings of the people. Interest rate of Savings Deposit is 6.00%. We offer leading-edge conveniences to put you in touch with your accounts. With the Prime bank ATM card, you can transact business at ATM terminals around the world. The Prime bank SHAZAM® Chek Card is the perfect alternative to check writing. This card combines ATM capabilities with debit access to your account at any merchant who accepts Visa®. Unlike a credit card, money is debited directly from your checking account. prepaid cards are perfect for gift giving, travel, teaching youth about managing their personal financial matters, or for people without bank accounts. Prime bank prepaid cards are the perfect fit for a variety of needs. Internet Banking provides you with a secure connection to view your account information 24 hours a day, 7 days a week from any PC with an Internet connection. You can monitor up-to-date activity, transfer funds, and make loan payments, all free of charge! Our telephone banking offers you another way to access your accounts around your schedule. This 24-hour service allows you to check your account balance, transfer money, make loan payments, or see if a check has cleared. It’s simple to use, safe, and free! The Bill Payer service is available through both Internet Banking and Tele bank. This convenient service allows you to choose the payment amount, control the payment date, and cancel a payment at any time. It’s the most convenient way to pay your monthly bills. Keep important documents and valuables secure with a safe deposit box. Save the hassle of making a special trip to deposit your paycheck, Social Security check, or government payment with Direct Deposit. Your funds are automatically deposited in your checking or savings account on time every time-wherever you are! More convenient and safer than issuing checks, Prime bank’s ACH services can save you time and money, when dealing with recurring payments. Whether it’s crediting your employees’ payroll or debiting your customers’ accounts for recurring payments, we can help with all of your ACH origination needs. Our card program provides sales and services to retail merchants, service businesses and professional persons. This service allows you to accept Visa or MasterCard as payment for goods and services. Whether it’s time to purchase your first home, move to a new home, or refinance your existing mortgage, Prime bank offers responsive service and multiple real estate loan. options.Fixed Rate Mortgage Loans – Loans are based on a fixed interest rate and monthly payment schedule. Interest rates are always competitive with terms to suit your needs.Adjustable Rate Mortgage Loans (ARMs) – This loan offers the borrower a lower initial rate with the same great service. Than is available with the conventional fixed rate mortgage.Home Equity and Home Improvement Loans – This type of non- revolving installment loan uses the equity you have built in your home to finance home improvements, consolidate debt, pay for college expenses, or cover other major purchases. When you are buying a new or used vehicle check with us first for the most competitive rates. We can pre-approve your loan so that your shopping will be easier. No matter what your needs, we can tailor a loan just for you. We offer secured and unsecured personal installment loans. SMS Banking: Track your account details anytime from anywhere. Our SMS Banking lets you keep track of your account even while you are on the move. Register for the service by filling a registration form at our bank. After registration send SMS to 6262 with the keyword for your query. Receive a reply message on your mobile with your required information. To know your latest Bank balances enter the text ‘BE’ and send SMS to 6262. You will shortly receive following reply. The use of official-sounding terms, such as Prime Bank Notes or Debentures, or Roll-over Programs, typically take the form of banknotes, debentures, letters of credit, bank purchase orders, zero coupon bonds, or guarantees. The word “Prime” is meant to refer, generically, to reputable financial institutions (example: world banks) who supposedly issue these investments. These schemes sometimes claim affiliations with major international organizations, like the International Chamber of Commerce (ICC) and International Monetary Fund (IMF). Both the IMF and ICC deny any association with these types of international investment programs. This scam begins as an offer to join an exclusive investment program normally reserved for high-roller international investors with a return rate as high as 100%.You receive an offer to get in on an exclusive investment program that’s usually reserved for only the top international financiers. This investment opportunity involves the trade of extremely complex “prime bank” financial instruments that are promised to generate huge returns that could reach 100%.The crooks running the scam will probably have all kinds of documentation, contracts and brochures for you to read and the names used will sound official and legitimate. Some will even point out that they are not a “prime bank” investment in attempt to trick investors wary of prime bank scams. But the basic premise of the investment opportunity, the trade of prime bank or other financial instruments, is exactly the same. Only the name has been changed to protect the guilty. Despite the layers of complexity, the shiny brochures, and the slick sales pitch, prime bank scams are, at their core, very simple. Once you know what to look for, they can be detected and avoided. International fraud artists have invented an investment scheme that offers extremely high yields in a relatively short period of time. In this scheme, they purport to have access to “bank guarantees” which they can buy at a discount and sell at a premium. By reselling the “bank guarantees” several times, they claim to be able to produce exceptional returns on investment. For example, if $10 million worth of “bank guarantees” can be sold at a two percent profit on ten separate occasions, or “traunches,” the seller would receive a 20 percent profit. Such a scheme is often referred to as a “roll program.” To make their schemes more enticing, con artists often refer to the “guarantees” as being issued by the world’s “Prime Banks,” hence the term “Prime Bank Guarantees.” Other official sounding terms are also used such as “Prime Bank Notes” and “Prime Bank Debentures.” Legal documents associated with such schemes often require the victim to enter into nondisclosure and noncircumvention agreements, offer returns on investment in “a year and a day”, and claim to use forms required by the International Chamber of Commerce (ICC). In fact, the ICC has issued a warning to all potential investors that no such investments exist. While foreign banks use instruments called “bank guarantees” in the same manner that U.S. banks use letters of credit to insure payment for goods in international trade, such bank guarantees are never traded or sold on any kind of market. Think before you invest in anything. Be wary of an investment in any scheme, referred to as a “roll program,” that offers unusually high yields by buying and selling anything issued by “Prime Banks.”As with any investment perform due diligence. Independently verify the identity of the people involved, the veracity of the deal, and the existence of the security in which you plan to invest. A checking account is so much more than just a place to keep your hard-earned money. You should choose the right account for you based on your unique banking preferences. We have several options available to you, and we would be happy to meet with you to discuss which is more suited to your individual needs. This FREE checking account offers you all the benefits, features and conveniences you need in a checking account. Our regular checking account also offers you all of the features you desire from a checking account, but includes many other benefits that will make it easier and more convenient to manage your money. .25% Discount on Consumer Loans. This is an interest bearing account which rewards the customer with preferred rates, while offering the same premium features and benefits. This is a comprehensive checking account option that offers all of the ease and convenience you look for in a checking account for your business. Have you thought about your retirement savings strategy? A savings account can be the building block to a solid financial future. Whatever your savings goal, you want to know your money is safe, secure, and there when you need it. Our regular savings account allows convenient access to your money, and is designed to offer a competitive deposit rate. Excessive Withdrawal Fee – $3 for Each Withdrawal in Excess of Three. Our Money Market account increases the earning power of your money but also allows for easy access to your funds. This account offers interest rate tiers, so the higher your balance, the more interest you earn. Excessive Withdrawal Fee – $3 for Each Withdrawal in Excess of Three it. Let your money work for you. Our Business Savings accounts designed to offer competitive rates of interest on your hard earned money. Whatever your savings goal, you can rest assured that your money is safe, secure and there when you need. The Business Money Market account is available to all businesses who wish to earn a higher rate of interest on their deposits. This account offers interest rate tiers, so the higher your balance, the more interest you earn. We understand that time is money. Our goal is to make your banking experience fast, convenient and efficient. We offer a variety of account services which are designed to create value by reducing the amount of time you spend performing monotonous banking activities. Our Check Card works like a check and an ATM card, with funds deducted directly from your account. Not only is it more convenient, but it has the added features of safety and security. It significantly reduces the number of checks you write and the amount of cash you carry. Our VISA or MasterCard Credit Card will afford you the flexibility you deserve when it comes to making purchases. You can feel confident with your purchases while relying on the convenience and protection you demand. Save yourself a trip to the bank. Have any recurring payment deposited electronically to your account. This service is ideal for payroll checks, interest payments, Social Security or any other government payments. It is safe, secure, and gives you access to your money at the start of the business day. Avoid the fees and hassles associated with overdrawing. With our Overdraft Protection service you can link your checking account to another account. With Online Banking you can conduct much of your banking from your home or office. You can view your account history, transfer funds between accounts, order checks, and much more. You can do all of these things with peace of mind knowing that the process is completely safe and secure. Banking becomes so much easier and more convenient with Online BillPay. You can pay your bills in just a few clicks. This service significantly reduces the number of checks you write and saves on postage. This service is completely safe and secure, guaranteed. We understand that time is money. Our goal is to make your banking experience fast, convenient and efficient. We offer a variety of account services which are designed to create value for your business by reducing the amount of time you spend performing monotonous banking activities. Our Check Card works like a check and ATM card, with funds deducted directly from your account. Not only is it more convenient, but it has the added features of safety and security. It significantly reduces the number of checks you write and the amount of cash you carry. Our VISA or MasterCard Credit Card will afford your business the flexibility it deserves when it comes to making purchases. You can conduct your business while relying on the convenience and protection your company demands. With Online Banking you can conduct much of your banking right from your office. You can review your account history, transfer funds between accounts, order checks, and much more. You can do all of these things with peace of mind knowing that the process is completely safe and secure. We understand that your business wants to make the best use of time and money. We offer a variety of cash management products and services to provide you with flexibility and convenience while improving your operational efficiency. Banking becomes so much easier and more convenient with our Online BillPay. You can pay bills in just a few clicks. This Service significantly reduces the number of checks you write and saves on postage expense. This service is completely safe, secure, and guaranteed. This service is designed to help accelerate the collection of receivables. Customer payments are collected and processed, and then deposited directly into your Prime Bank account. This service allows your business the ability to maximize cash flow by earning interest on excess funds. Your end-of-day funds are automatically swept into an interest bearing money market account. Get your cash when you need it. We offer a variable-rate line of credit which provides your business with ready cash to meet short-term financing needs. Because we are locally owned and managed, we can tailor our products and services to meet your needs. Your business is unique, your bank should be, too. Conclusion: We can say the discussion that prime bank is most significant for business. It provides many loans in various sectors. So, Prime bank is committed to being your first choice for financial services by providing responsive solutions and competitively priced products that are delivered with exceptional service.